55421-BL is rated 5.0 out of 5 by 1. 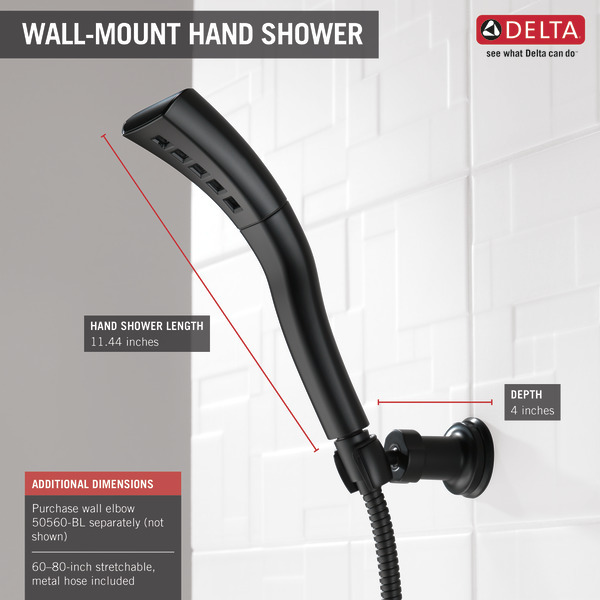 Rated 5 out of 5 by J Wood Flooring from Delta 55421 H2Okinetic Shower Equals Happy Customer Our customer wanted something that she could use as a hand shower but still have the strength and spread more in line with what she has had in high end standard wall mount shower heads. This unit fits both rolls very well and she is super happy with the results. The finish is better than we had thought it would have been even though it does have both metal and plastic housing pieces in both the shower head and the supporting hardware. After assembled you can't tell the difference and the plastic appears to be well designed as it holds and supports the components well. 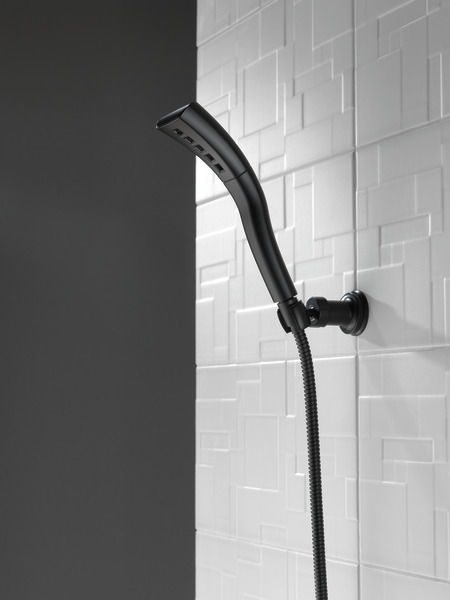 The finish IS a unique color to the Delta series and the hardware of the frameless shower glass and other brand fixtures that are ORB are slightly different from the Champagne Bronze Delta color. 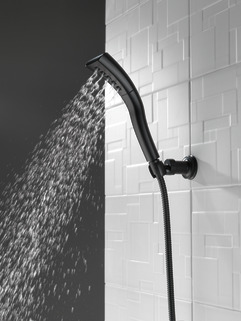 With that being said, they work very well together and it makes the shower head and hardware stand out as the focal point which works well. 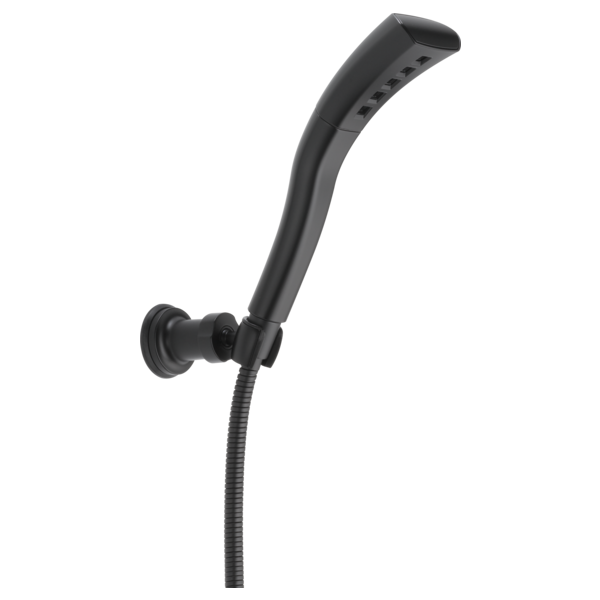 we are installing, can the handheld be on without the shower head?